LONDON, Ontario - This holiday season has been a reflective one for Southwestern Ontario horse people who were informed just days before Christmas that the future of Standardbred racing at The Raceway at Western Fair District is in jeopardy due to Gateway Casinos’s decision to relocate. The company has decided to shift their operation from Western Fair, therefore taking the funding that helps support local racing. “We were very disappointed with Gateway’s decision and the effect it will have on racing in the London area,” noted Bill O’Donnell, a hall of fame horseman in Canada and the US and now the president of the Central Ontario Standardbred Association which represents horse people in Ontario. “Initially the entire reason to have the casinos located at the province’s racetracks was to mutually benefit both the slot and racetrack operators. That has now fallen by the wayside with the sale of the casinos from the Ontario government (Ontario Lottery and Gaming), to private operators. Gateway and Western Fair negotiated for many months in an attempt to have the casino remain at its current location and for the integration of gaming and racing to continue as successfully as it has for 20 years. “Western Fair has submitted a formal request to the government indicating the support required to continue racing at Western Fair. We solidly support this request and are optimistic it will be honoured given the Ford government’s very vocal support of the restoration of the slots at racetrack program and horse racing. They’ve already set a precedent since they took over control of the provincial government and hopefully that will continue at Western Fair,” added O’Donnell. Additionally, John Hayes, Chair of Ontario Racing which oversees harness racing in the province, issued this statement on December 27: “The Raceway at Western Fair, considering its sizeable investment and long standing charitable endeavours in the greater London area, has been a solid citizen and integral piece of the fabric of the community for decades. Also publicly voicing their support for Western Fair was the official breed registry Standardbred Canada whose statement read as follows: During the past year Standardbred Canada has been a vocal supporter of Ontario’s Long Term Funding Agreement in this province. The recent announcement concerning Gateway Casino moving from The Raceway at Western Fair District is problematic and concerning on many fronts.The announcement has once again raised questions on the security and future of the 125 race dates scheduled at Western Fair, a designated Signature racetrack in Ontario. The Raceway at Western Fair District ranks second in Canada for generating Standardbred racing handle, behind only Woodbine Mohawk Park. Western Fair is one of the few racetracks offering winter racing, and potentially year-round dates for participants, both locally and well beyond. 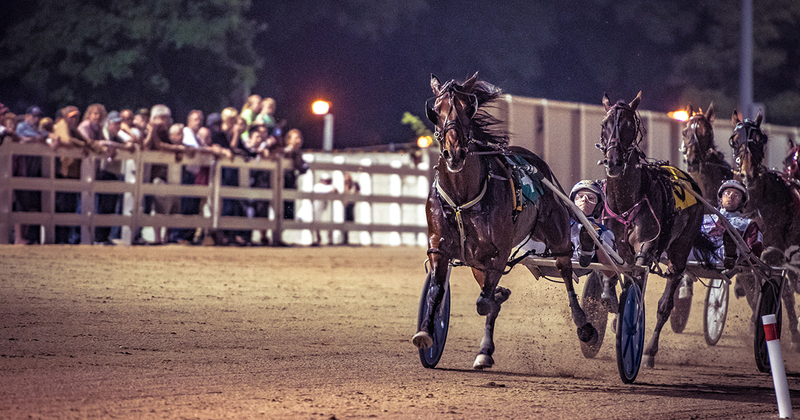 Standardbred Canada wishes to emphasize that continued racing at Western Fair is of paramount importance to the sport on a national level, and encourages all stakeholders to work towards a long-term plan in the immediate future that supports and includes The Raceway at Western Fair District.